She was the mother of three incompetent sons and she was a very successful politique except for when she went and butchered all of the Huguenots on Bartholomew day. this was amazing because it said we should separate powers and have checks and balances. what? he loved free speech basically he talked a lot and he hated the church said crush the thing. France hated England so they decided to fight them and it bankrupted them. three goals reparations, balance of power and returning legitimate monarchs, france representative talleyrand and france treated leniently. he was conservative and the july ordinances were series of decrees that undid much of what louis xviii did and such. reactionary took away freedom of the press. people were pissed and revolted in july rev. against charles x and in the barricades of the street mainly done with smashed furniture workers and middle class joined in to barricade. called the citizen king and his reign was know as july monarchy or middle class monarchy. he was different because he reduced prop qualifications and he abolished press censorship. he ignored the demands of the urban worker and that caused the february revolt. called universal monarch got spain from maternal grandparents and hre from his other grandparents. Spain goes to son, hre goes to brother. basically says freedom of religion except for jews in each country and the netherlands could be free of spain. this was the system of work in austria which repressed the serfs, a labor tax, worked a while unpaid. Enlightened reforms included easing of the serfs and tax reform he violated the pragmatic sanction and attacked austria seizing silesia. Austria against prussia and prussia kinda won because they received Silesia. big germany against a small germany. 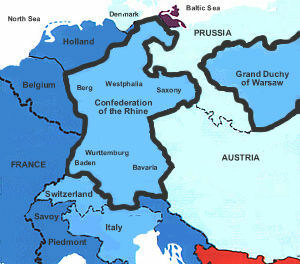 basically does austria get to be included and dominate this alliance or should prussia get to. Created german idealism umm viewed history as that it repeated itself from thesis to anti thesis in a series on conflicts. This was in Rome because it was ballin.